How does a former Assistant General Manager of the World’s Busiest Airport deliberately pursue her passion? She focuses her long-time real estate investing pursuits into a residential real estate business. Vivica has been a residential real estate investor for the better of the past 15 years. After relocating to Atlanta in the mid 90s from southern California where she graduated from law school, she found herself faced with a decision to purchase an older, outdated property with “potential” many many miles from the main highway, or buying a smaller more updated home, with no equity, in close proximity to Atlanta. The decision was particularly impactful as she was also a single parent of a special needs first grader with all of its associated considerations. The property purchase of the older home was just one of many critical future decision involving real estate and life. Vivica has well over a decade of experience in leadership, business management and legal counsel roles in Atlanta. She was the Deputy City Attorney and Assistant General Manager for the world’s busiest airport, Hartsfield-Jackson Atlanta International Airport. As Deputy City Attorney, Vivica was the lead attorney and oversaw several staff attorneys and indirect reports whose activities included contract negotiation and drafting for the real estate groups. Vivica had a integral and high profile leadership role that managed over $900 million in annual sales revenue. She led a staff of employees in five critical business units to include Real Estate and Marketing. 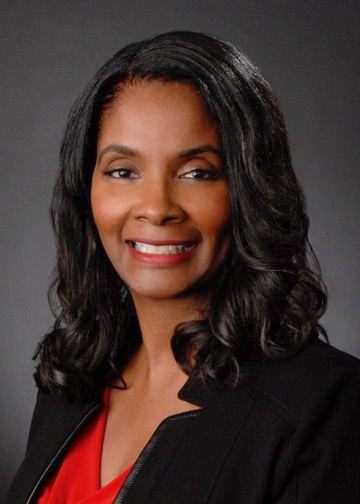 One of the many highlights of Vivica’s career was the prized relocation of Porsche’s North American headquarters to south metro Atlanta, of which she was lead counsel in several required real estate transactions to help effect the relocation. Because Vivica understands the value of real estate and wealth building from first-hand experience, following her passion for real estate and the appreciation of beautiful spaces is a natural move. In her career at Atlanta’s airport, she visited several foreign countries. As a result of the international travel, she acquired a unique appreciation for culture, architecture and beautiful spaces and how valuable real estate can contribute to building legacy. Throughout her career, Vivica has been and continues to be a trusted leader and legal advisor for high profile endeavors and industries. With this same fierce leadership and astute observation, she is now using these skills to help others build a legacy of wealth through fine home and investment property ownership. Vivica is the 2018 Local Director of Programs for the Women’s Council of Realtors Atlanta and a member of the Government and Legislative Committee of the Atlanta Board of Realtors. As a long-time lover of music and the arts, you should not be surprised to find her in one of many live music venues in the city.